The University of Lahore is in the process of establishing a social responsibility office whose main mandate is to work towards improving the social welfare of the people in its neighborhood. In this respect, a pilot survey project regarding the needs identification of social sector development within the suburbs of UOL was recently done. A total of 31 villages in a radius of 10-15 square kilometres covering 51,883 houses with estimated population of 4.6 million residents along Raiwind Road were surveyed. Preliminary findings indicated that the area needs social sector development projects aimed at improving health care systems, livelihood conditions, standards of education institutions, and electricity services. 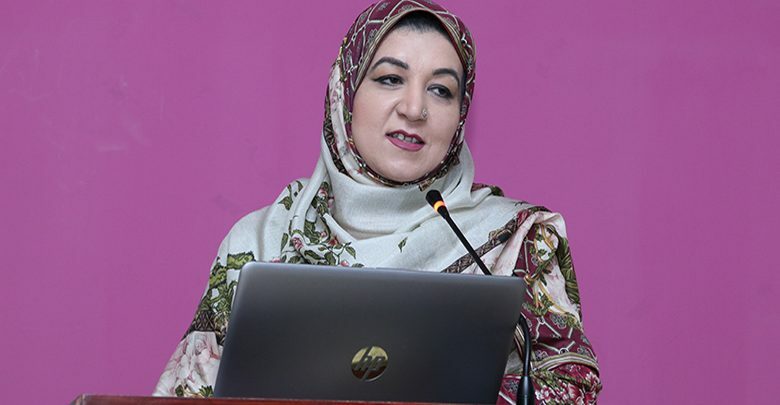 While speaking to The Spectacle recently, UOL Pro-Rector Social Sciences, Ms. Wajeeha Raoof said the survey data regarding the number of schools, sanitation status, medical services, and water issues of UOL surrounding communities is one of the foundations for establishing the UOL social responsibility arm. “We are planning to launch community service projects that will help communities around us to overcome manageable challenges,” she said. According to Lahore Business School (LBS) Associate Professor Dr. Ramiz Ur Rehman who led the survey project in Spring 2017, the villages examined have no access to basic health services, safe water, well-structured education institutions, and electricity connectivity. “The findings were alarming. We found almost 50% of the villages with no basic health care centres. Those villages which have some health care centres do not have the capacity to give good health care services to the people. The illiteracy rate is nearly 20%. Among the literate, 30% of the people earned technical/other education, 20% are primary passed and the remaining ones are under matric.” Dr. Ramiz said. “More than 50% of the residents do not have own water connection for the domestic use. The availability of drinking water at their living place is only 30%. Worse still, more than 90% of the villages do not have proper sanitation plan for the entire area. The sanitation situation is deplorable. There are no government facilities for cleaning the area. Only 50% of the residents have gas and electricity connections,” he added. Due to the magnitude of the work under way, Dr. Ramiz calls for partnerships from government agencies and civil society fraternity. “After needs assessment, we recommended several social sector development projects that must focus on the development of health care centers, establishment of vocational training centres, provision of good livelihood conditions, promotion of entrepreneurial skill and capacity building programmes. But we might not go alone as UOL. We need collaborations and MoUs with other well-wishers,” he added. The survey was conducted in two phases. In the first one, a team of volunteers surveyed and identified the number of villages located within the radius of 10-15km of UOL toward Tehsil, Raiwind. During the second phase, a structured questionnaire was developed and used for data collection using stratified and convenient sampling technique. Each village was used as strata, and data was collected from residents of the respective villages through face to face interviews.